We are delighted with the purchase from Millfield Stud of our new broodmare Diandra. She is a 4 year old out of Diaradro sire and Sawara dam. We broke her in last year and then left her to have her foal. Dstop came a month late and he was a big boy. 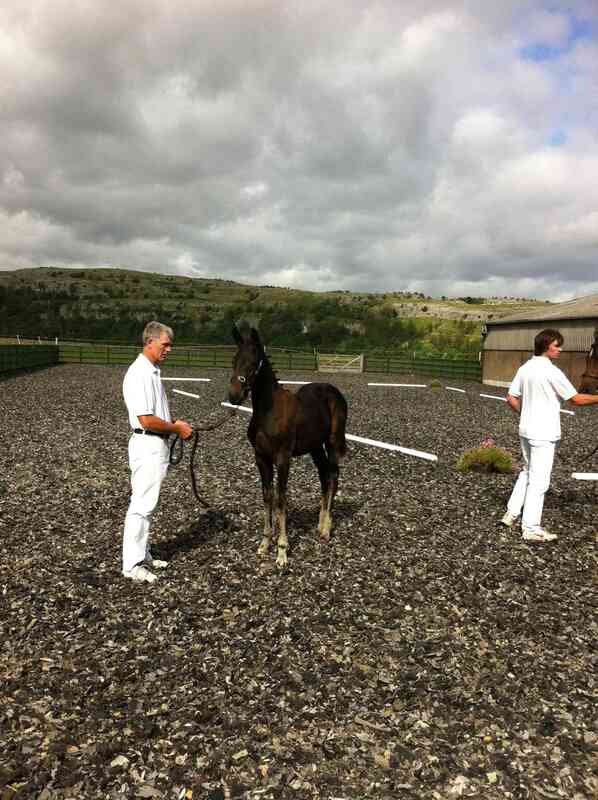 Here they are at their grading at MillField stud, Diandra is now recorded as arecommend broodmare and they liked her foal. Diandra will be brought back into work at the end of the year when Dstop is weaned . We are delighted with the purchase from Millfield Stud of our new broodmare Diandra. She is a 3 year old out of Diaradro sire and Sawara dam, She makes great breeding to become and produce great quality sport horses. She was awarded a very high first premium with a score of 8.75 at the BEF Futurity and was Champion show jumping foal. She will be retained by the stud. 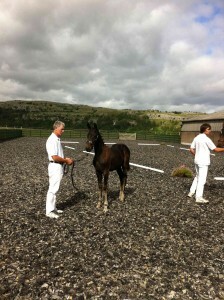 She has won the yearling class at the 2010 SHGB Spring Breeders show at Myerscough. We have chosen Non Stop out of Darco to cover her which will give us something very special, should it be a colt we will keep him as a stallion at Lakeland Equestrian. 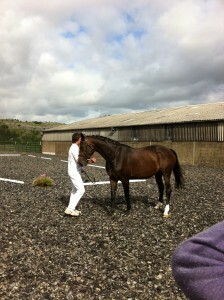 She is currently be covered at Millfield Stud and will join us in a few weeks.